Circa 1905. "Cathedral of the Holy Cross, Boston, Massachusetts." 8x10 inch dry plate glass negative, Detroit Publishing Company. View full size. Submitted by Dag on Sun, 08/06/2017 - 5:31am. 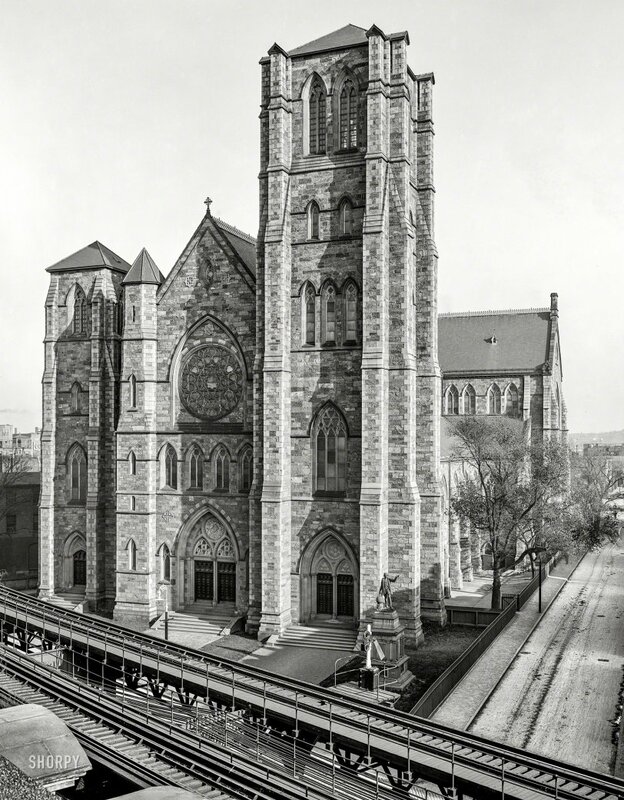 While the church still stands the elevated train tracks were taken down in the late 1980's. Submitted by slr in tx on Sat, 08/05/2017 - 11:09pm. The mind fairly reels to think that this photo had to wait 112 years for its proper captioning to occur. Well done, Dave.